LessonCorner’s goal is not only to create the best collection of worksheets and lesson plans on the web, but also to make it free. Teachers at all levels including Elementary, Middle, High or College Teachers can use their service. Ancient Worlds section on ancient Egypt. The Museum of Egyptian Antiquities, also known as the Egyptian Museum or Museum of Cairo, is home to a collection of 120,000 ancient Egyptian artifacts. The British Museum Ancient Egyptian webpage. Department of Egyptian Antiquities. The Department of Egyptian Antiquities presents vestiges from the civilizations that developed in the Nile Valley from the late prehistoric era (c. 4000 BC) to the Christian period (4th century AD). A room-by-room list of Egyptian artifacts in the Louvre. The Egyptian and Near Eastern Collection of the Kunsthistorisches Museum is among the world’s most important collections of Egyptian antiquities. The more than 17 000 objects date from a period of almost four thousand years, from the Egyptian Predynastic and Early Dynastic periods (ca. 3500 BC) to the early Christian era. The Metropolitan Museum of Art Egyptian art collection. National Geographic Ancient Egypt archives. Ancient Egyptian painting and sculpture, an image gallery at Pinterest. Ancient Egyptian sculpture, a photography gallery at Pinterest. Ancient Egyptian art, an image gallery from Pinterest. Ancient Egyptian jewellery, an image gallery from Pinterest. The Griffith Institute, University of Oxford. The Griffith Institute has been at the heart of Egyptology and Ancient Near Eastern Studies at the University of Oxford for over seventy years. Egyptology Resources, from the Newton Institute, University of Cambridge. Egyptology databases, museums, lists, texts. Egyptian artists, a list from Wikipedia. Egyptian painters, a list from Wikipedia. 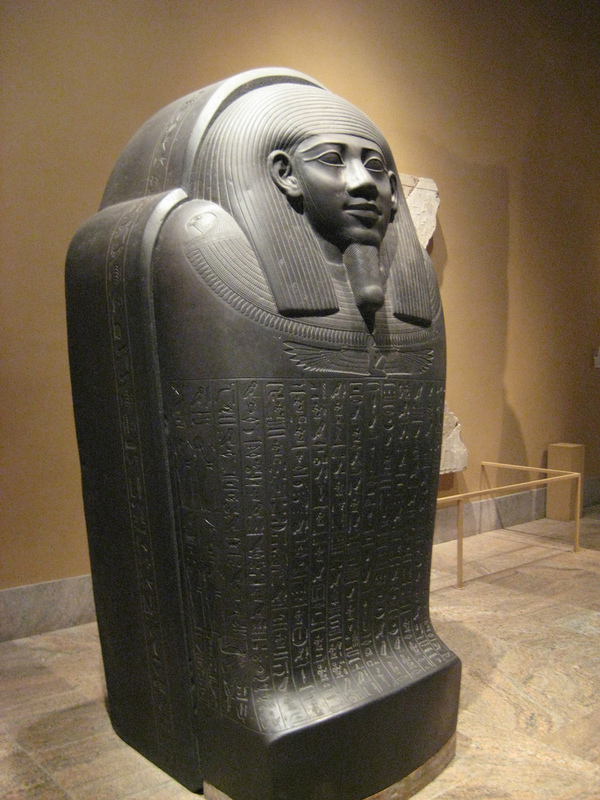 Egyptian sculptors, a list from Wikipedia. Modern Egyptian artists, the collection at The Metropolitan Museum of Art, New York. The Townhouse Gallery was established as an independent, non-profit art space in Egypt with the goal of making contemporary arts accessible to all without compromising creative practice. The Zamalek Art Gallery specializes in the promotion of contemporary art in Egypt. Karim Francis contemporary art gallery. Cairo’s top 10 contemporary art galleries and museums. A guide from The Culture Trip. A list of great Egyptian artists and where their art can be viewed at art museums worldwide. The Carlos Museum, Emory University, US. Ancient Egyptian art. Permanent and temporary collections of art from ancient Egypt. Egypt and Art. Galleries of ancient Egyptian art. The projected revival of the ancient library of Alexandria. A UNESCO website. Ashmolean Museum collection of Ancient Egyptian art and artifacts. The Grand Egyptian Museum holds in trust ancient Egyptian treasures, including over 100,000 artifacts, about 3500 of which belong to King Tutankhamen. The Museum houses a fine collection of Impressionist and Post-Impressionist paintings, including works by Paul Gauguin, Claude Monet, Auguste Renoir, Auguste Rodin and Vincent van Gogh. Museums, collections and electronic archives. A directory of web resources from The Oriental Institute Research Archives. Follow up the latest art news in Egypt and all Arab countries. Egypt’s Only Daily Independent Newspaper In English. A newspaper published in Cairo, and established in 1875. Rylands Library, Manchester, papyri collections online. The Papyrological Navigator (PN) supports searching, browsing, and aggregation of ancient papyrological documents. An interdisciplinary portal of papyrological and epigraphical resources dealing with Egypt and the Nile valley between roughly 800 BC and AD 800 currently expanding its geographical scope to the Ancient World in general. Over six thousand items from the Beinecke Library’s internationally respected collection of ancient papyrus. A site detailing the major pyramid sites of ancient Egypt and Nubia (Sudan). The meaning and construction of the Egyptian pyramids by Egyptologist Professor Nabil Swelim. Discover each tomb in the Valley in this interactive Atlas. A database of information about each tomb, with a compilation of nearly 2,000 images. Interact with models of each tomb, and measure, pan, and zoom over 250 detailed maps, elevations, and sections.